One must admire the bling. The ceremony at Sanctuary Church started at 10 a.m. and wrapped up shortly before noon, according to KTLA sister WNEP in Harrisburg. Reverend Sean Moon led the blessing of couples inside the church. 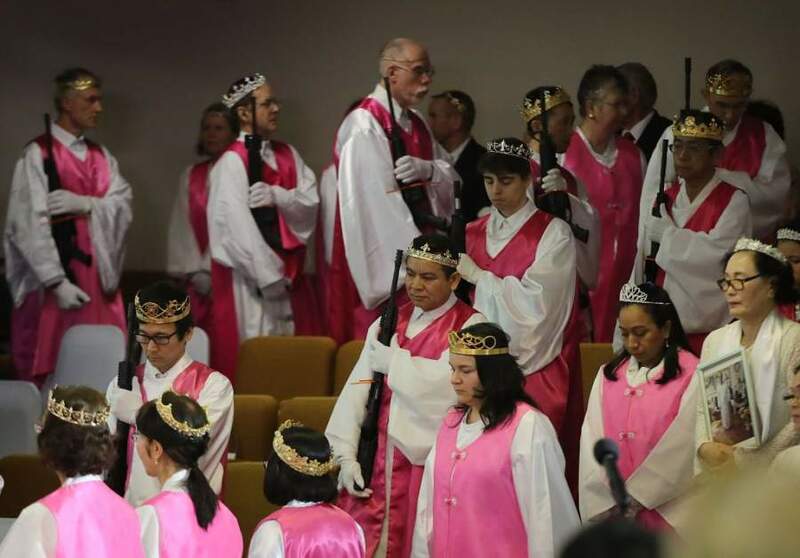 Several hundred worshippers wore crowns — some made of bullets — and held their firearms throughout the ceremony. Within the last year, Moon incorporated the belief of the rod of iron and a human right to bear arms. At least they’re not eating godmeat and engaging in ritual vampirism. Someone needs to come up with a religion where god wants you to pick up roadside trash and fill potholes. In his name. I can’t believe it’s not LARPing. Moonies are still a thing? Yes Moonies are pretty much alive haha. Now there are three group. The UC (which is the core Unification Church), the Santuary Church(the one in the picture) and another one which name I don’t remember. 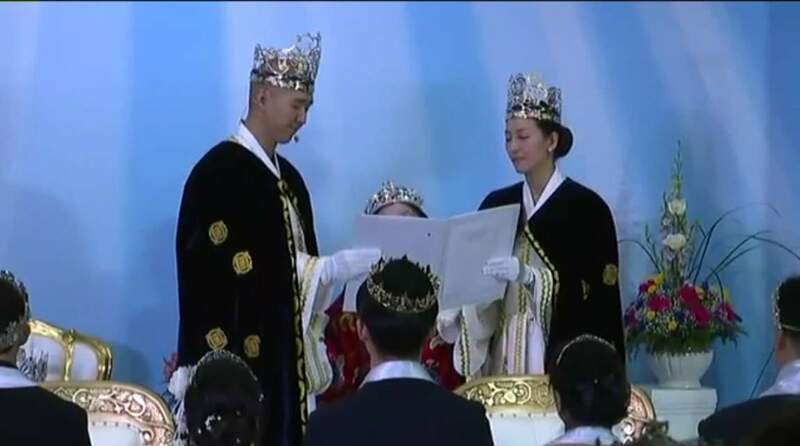 The last both are guided by the sons of Sun Myung Moon and the main one is guided by his wife, Hak Ja Han.